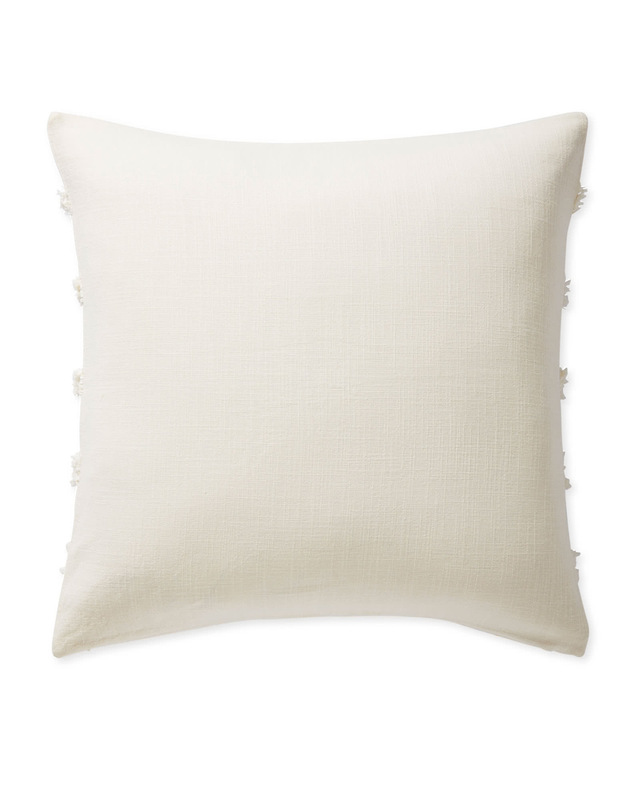 Cuesta Pillow CoverCuesta Pillow Cover, Ivory alt="Cuesta Pillow Cover, Ivory"
Print When in doubt, add texture. 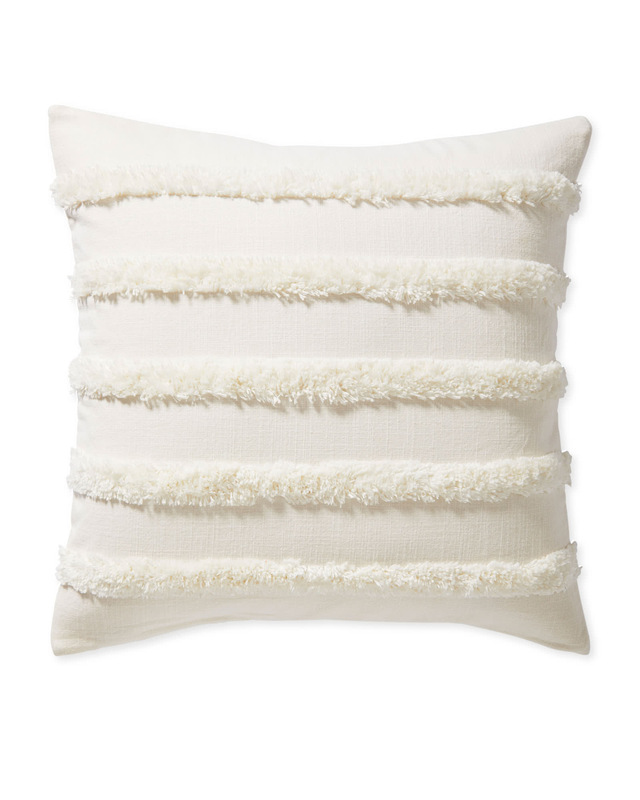 This pillow is all about it, from the cotton slub base to the fluffy stripes. Our designers call it a caterpillar fringe, which only adds to its fun nature. 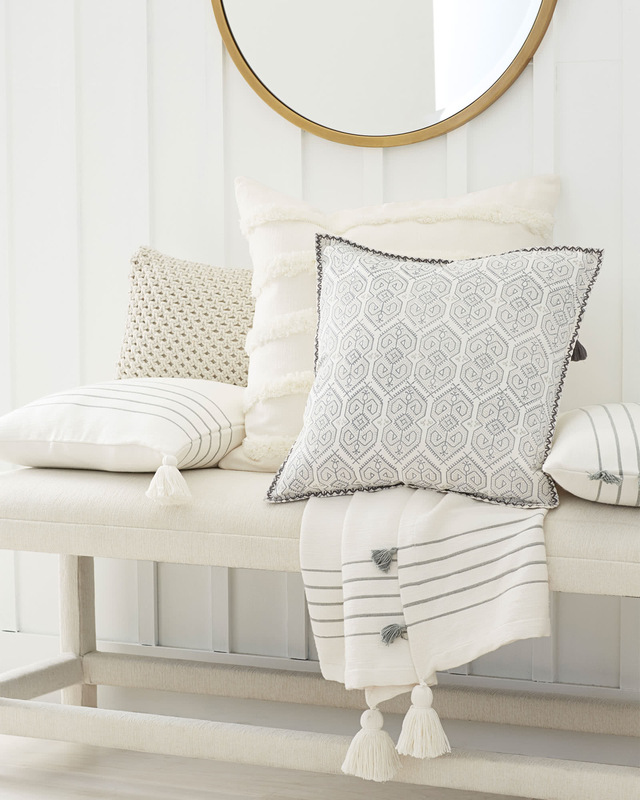 To play things up even more, we scaled the pillow up a little and opted for solids that let you layer any way you want. 100% cotton slub with a cotton lining.